From the June issue: When the real estate market was booming in New York, the modern-day Harlem renaissance seemed inevitable. New condos went up, and buyers bought townhouses to rehab and resell. Now, as the market has slowed and real estate experts scramble to pinpoint exactly which not-so-prime areas are going to get hit hardest, the question becomes, “How will Harlem weather the storm?” The experts interviewed for The Real Deal’s Q&A this month said that while new developments abound in Harlem, some projects are struggling financially. 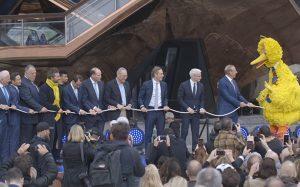 They also said that high-end retail is arriving here and there, but is largely lagging behind the luxury developments.